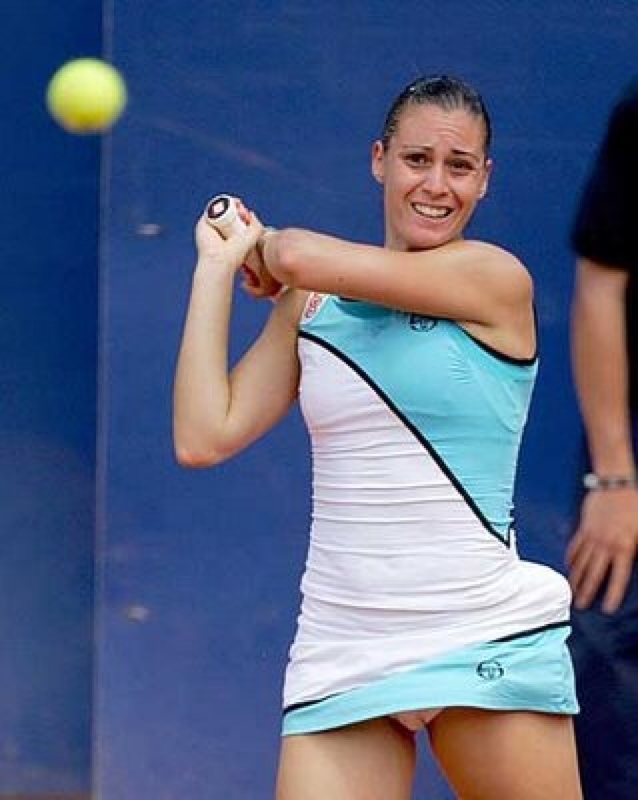 Flavia Pennetta (born 25 February 1982) is an italian professional tennis player. She became Italy's first top-10 female singles player on 17 August 2009 and also the first Italian tennis player to be ranked No. 1 in doubles on 28 February 2011. She is a Grand Slam singles champion, having won the 2015 US Open . She announced her retirement from the sport after winning the only grand slam of her life. Pennetta has won eleven career WTA singles titles, including the 2014 Indian Wells Premier Mandatory , during which she defeated the top two seeds, both of whom were ranked in the top 3. She has also been a mainstay in the Fed Cup team competition, helping to win all four of Italy's titles (2006, 2009â€“10, 2013). She is involved in a relationship with compatriot ATP tennis player, Fabio Fognini .